12 images. 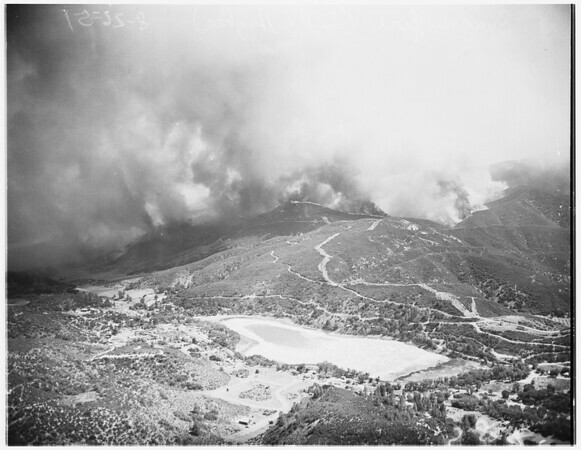 Saugus fire, 26 August 1951. Aerial views of fire around Munz Resort and Lake Hughes Areas.